#21 Re: Advice on rustproofing treatment please? Hi all. To access the sills, for potential Dynax spraying, is there an existing access hole, or do I need to drill one? And would the spray can reach far enough to coat the whole inside of the sill from one access? I can't see an obvious bunged hole! If I have to drill, where is best to go? I can just about see Steve's chart, but not sure if that is indicating the section to deal with, or where to gain entry. #22 Re: Advice on rustproofing treatment please? I drilled a hole at the rear end of each sill from the wheel arch (10mm I think) and you can get neat plugs from one of the derusting suppliers (can't recall who I'm afraid). Took out one of the engine frame bolts to attack it from the front end. 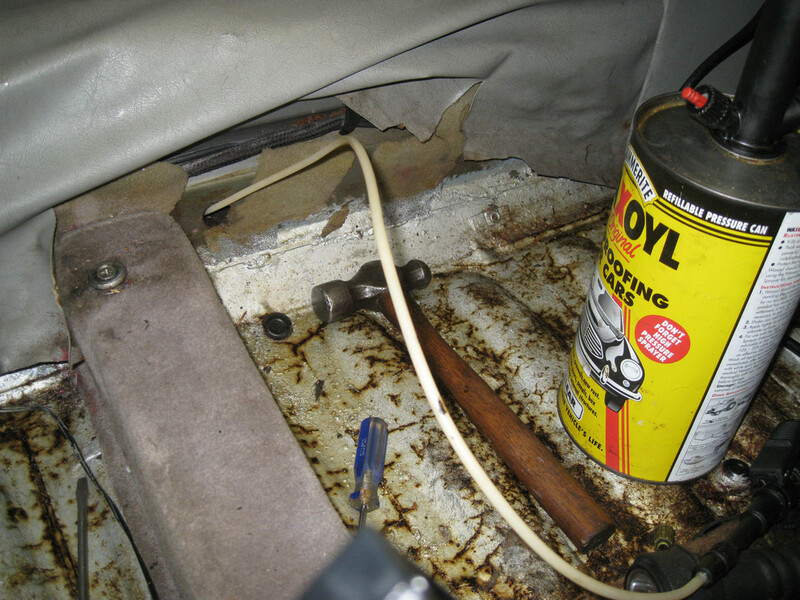 You can also get in there through the holes inside the car, where the inner sill meets the floor. #23 Re: Advice on rustproofing treatment please? #24 Re: Advice on rustproofing treatment please? On my 2+2 there is one per side, looking like this. #25 Re: Advice on rustproofing treatment please? That's great info, thanks. i feel up to the job now! #26 Re: Advice on rustproofing treatment please? #27 Re: Advice on rustproofing treatment please?